A leader of Brexit just took a big time shot at Obama while everyone was watching. This is awesome. A leader of the effort to pull Britain out of the European Union continued his attack on President Barack Obama Monday, saying Russian President Vladimir Putin behaved in a more “statesmanlike” manner than America’s president during the Brexit vote. Nigel Farage, leader of the Independent Party, last week said that Obama’s chiding in April of Britons to remain in the EU was one factor that influenced their vote to leave. Farage reiterated this point Monday night on Fox News. “Vladimir Putin behaved in a more statesmanlike manner than President Obama did in this referendum campaign. 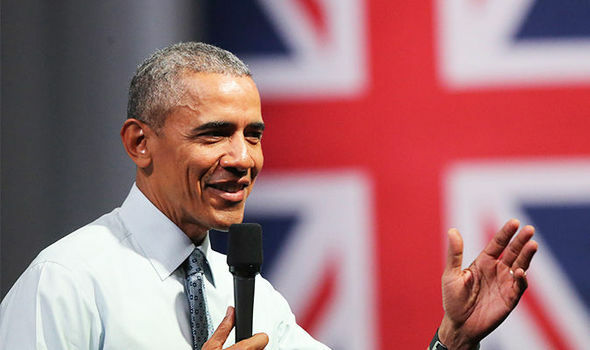 Obama came to Britain, and I think, behaved disgracefully, telling us we’d be at the back of the queue … treating us, America’s strongest, oldest ally, in this most extraordinary way,” he said. How about that? What do you think about that Obama? Unbelievable.